Category: Gifts for the Jewish Home. 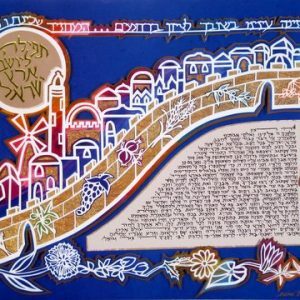 Tags: Jewish gift, Judaica, Papercut, Sabbath Blessing, Shalom Aleichem. 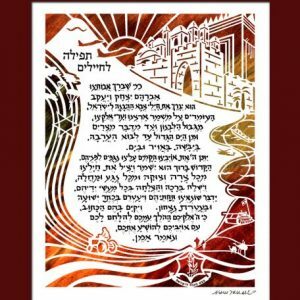 Shalom Aleichem “Peace upon you… Come in Peace… Bless me for Peace… Go in Peace…” These words are sung by Jewish families all over the world every Friday night, as we welcome the Sabbath Queen. 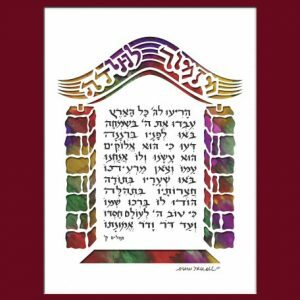 At the same moment we also bless the heavenly angels with the Sabbath blessing: Shalom Aleichem. 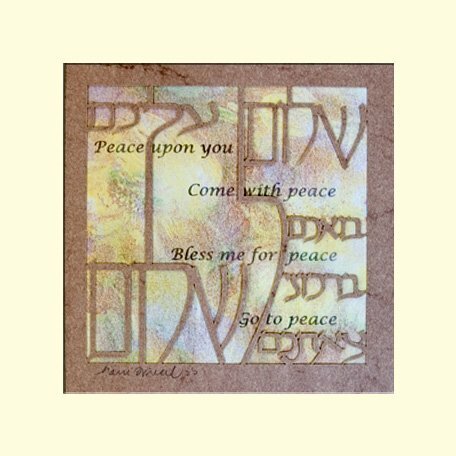 With this soft colored design, we can cherish these blessings for peace all week long. 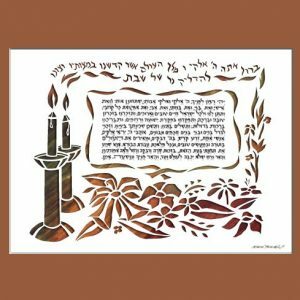 This papercut by Judaica artist Marci Wiesel makes the perfect Jewish gift.